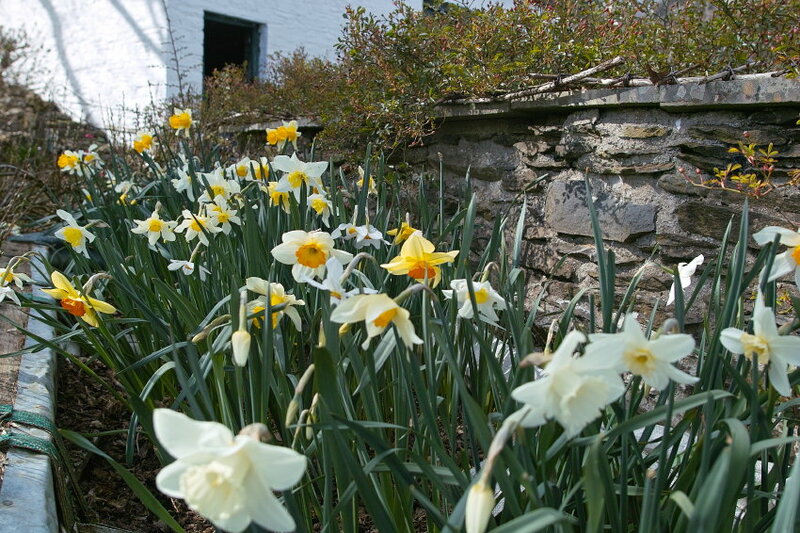 How could we begin to create a garden in West Wales and not try to grow daffodils, the National flower? But which ones to try, when there are thousands available? 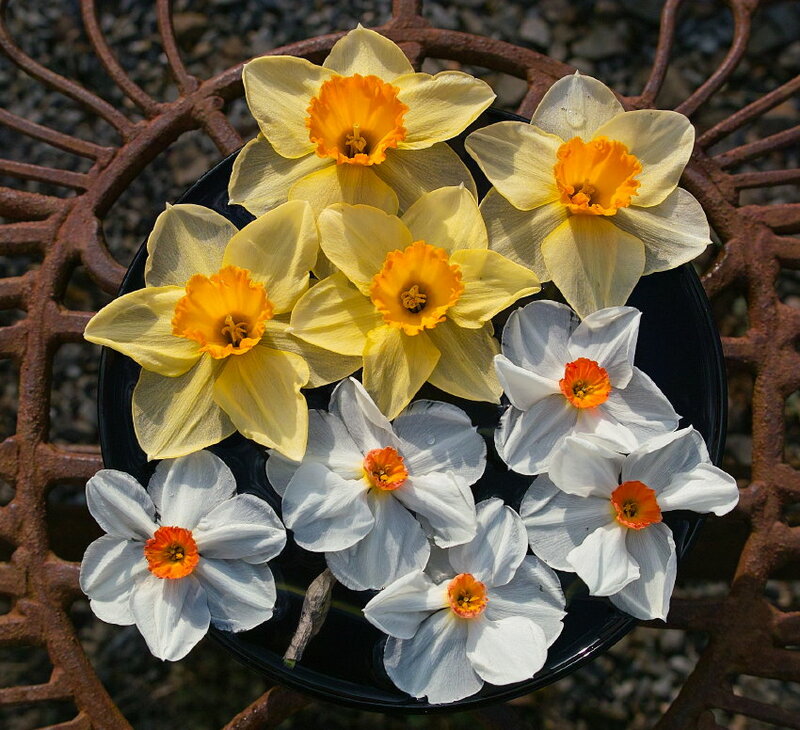 We’ve worked towards a selection based on vintage or heritage cultivars, as well as those awarded an AGM (RHS Award of Garden Merit) in an effort to grow ones which survive and flower reasonably well every year. 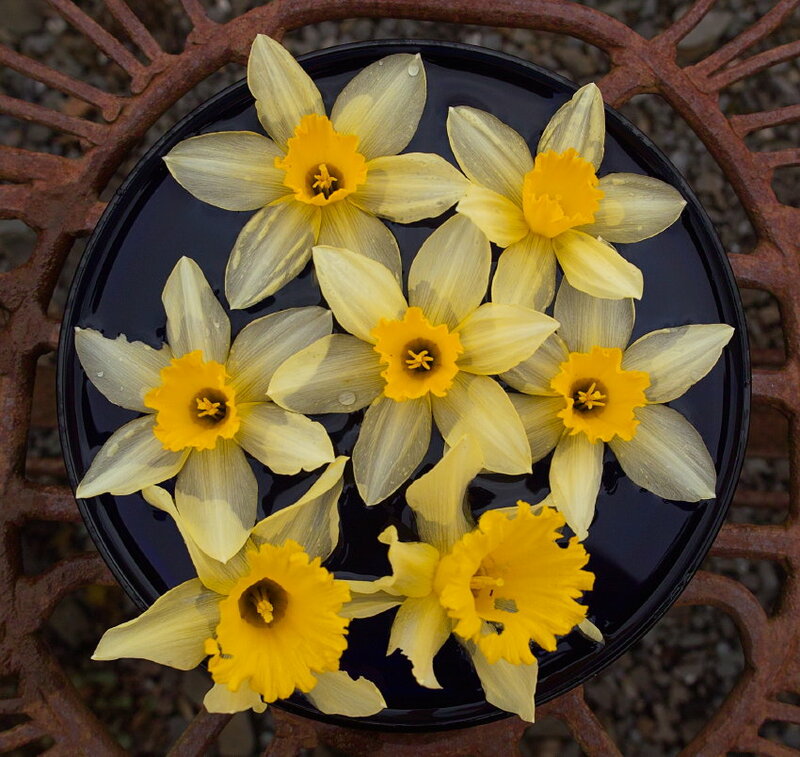 (Recently acquired vintage daffodils being trialled, below)… We grow them in Big Bags, in our retyred matrix garden, and in borders, or naturalised amongst other perennials. The lower one we identified subsequently as “Merlin”, which we had never knowingly bought. 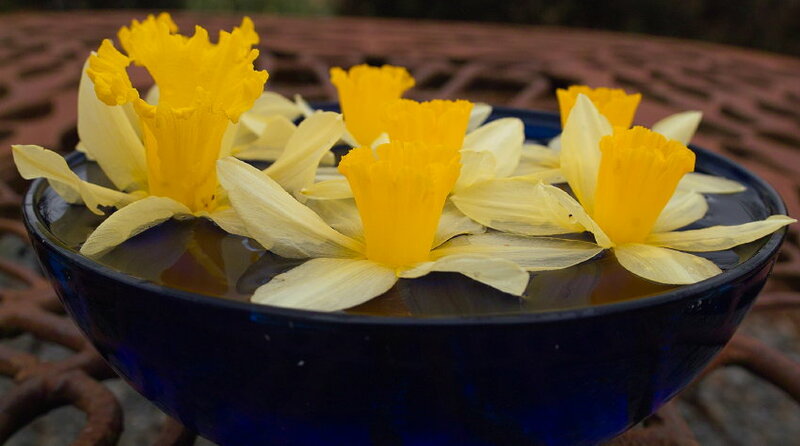 Armed with this name, we have now added to our numbers of this special daffodil, since it is a very reliable long flowering, later season variety. 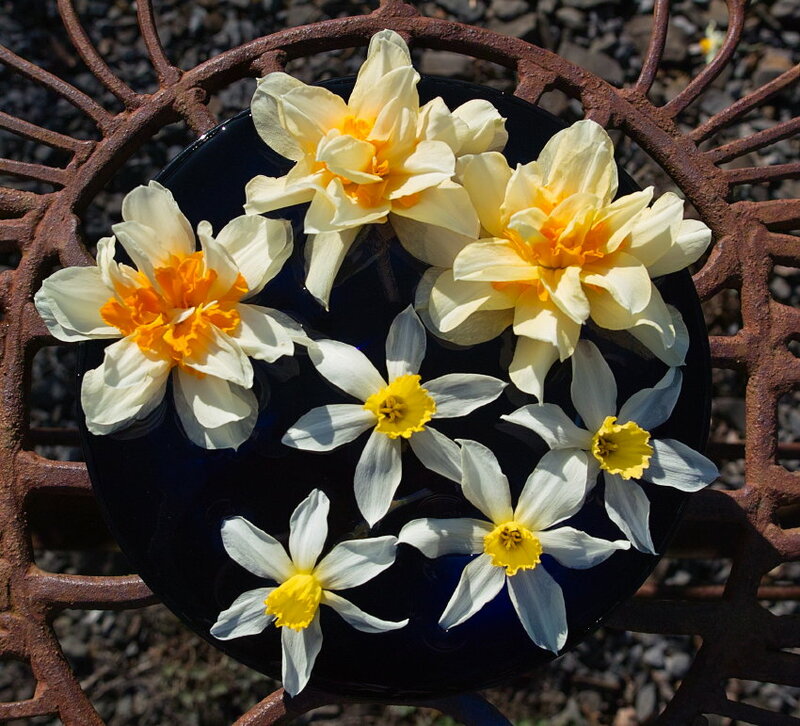 Several cultivars go through lovely flower colour changes as the flower ages. 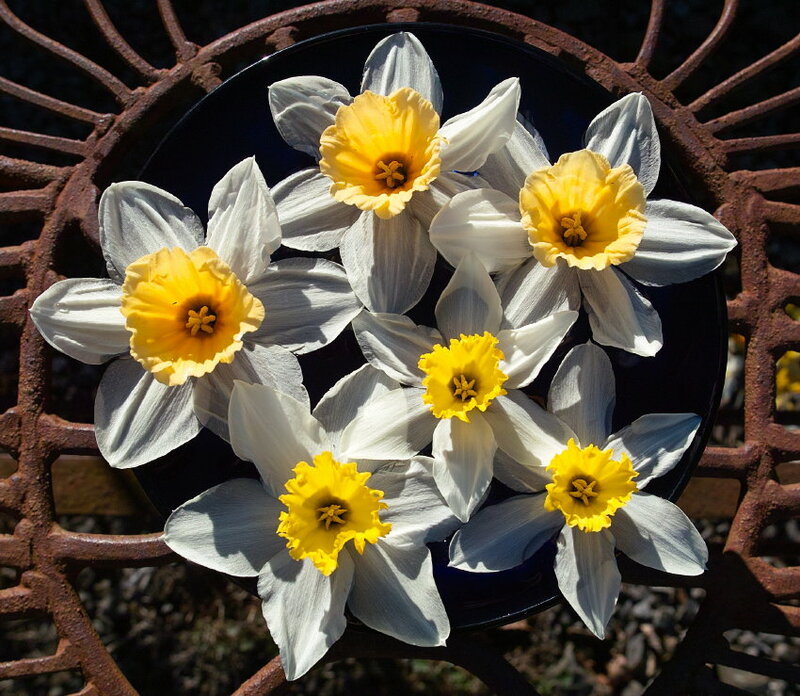 Because of time, weather (and flower availavility!) issues, I shan’t be able to include these changes initially, but might be able to feature them in years to come. You’ll also notice we’re not very keen on ‘Big All Yellow Jobs’, which we find sit uncomfortably with our relaxed attempts at a ‘natural’ garden style. I’m also keen to see if older varieties bred before commercial fungicides/pesticides became widely used in bulb fields, survive better with us over the long term. 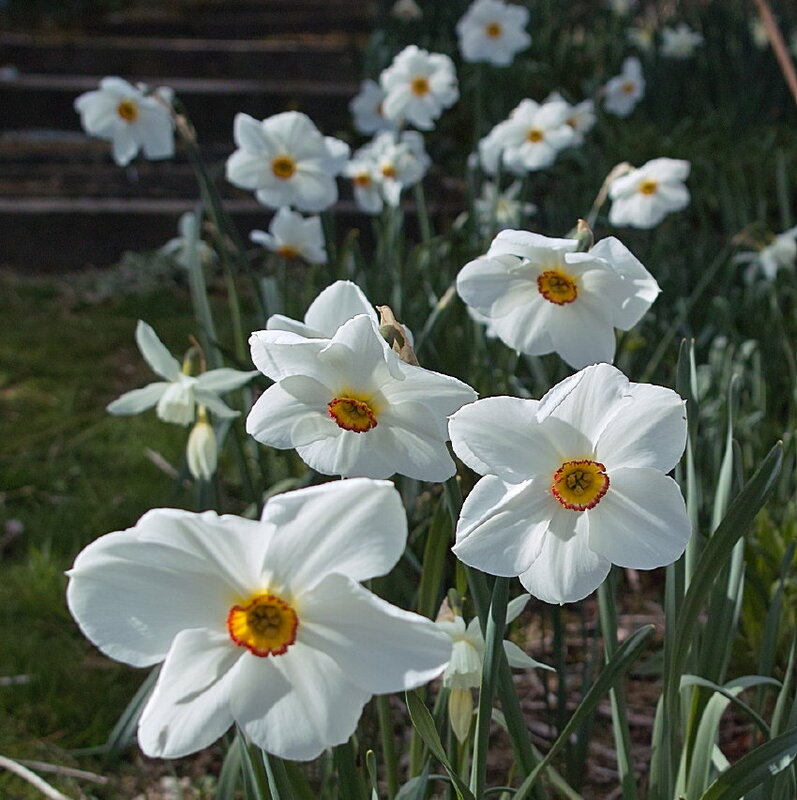 I’ll also list their ‘division’ (a form of classification of daffodils into a dozen groups), their colours of perianth (petals) and trumpet, their relative flowering time and height, and finally a note as to how reliable they are to flower regularly in our upland Welsh garden. 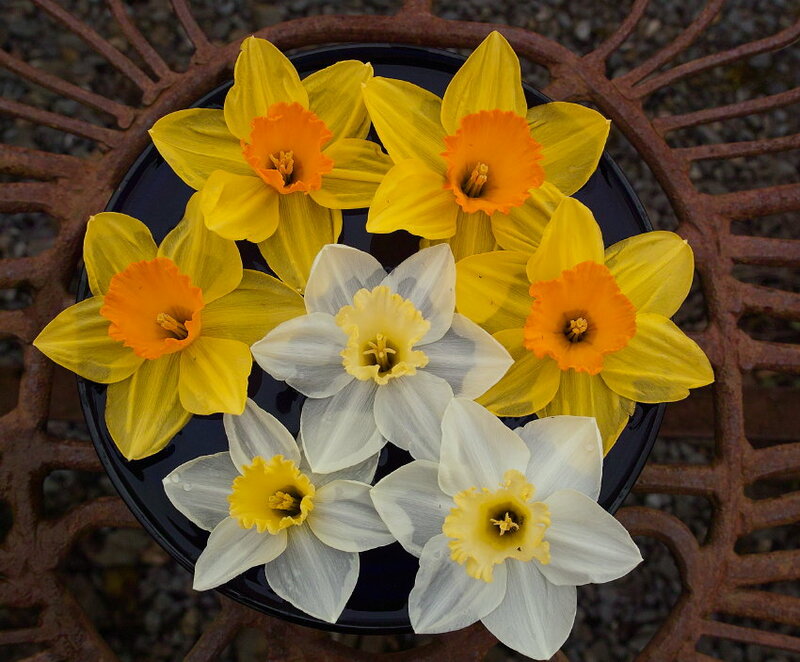 Perhaps this page might encourage more people to explore the huge range of daffodils available, and please accept that as a work in progress, along with our other interests, this page may never look “complete”. 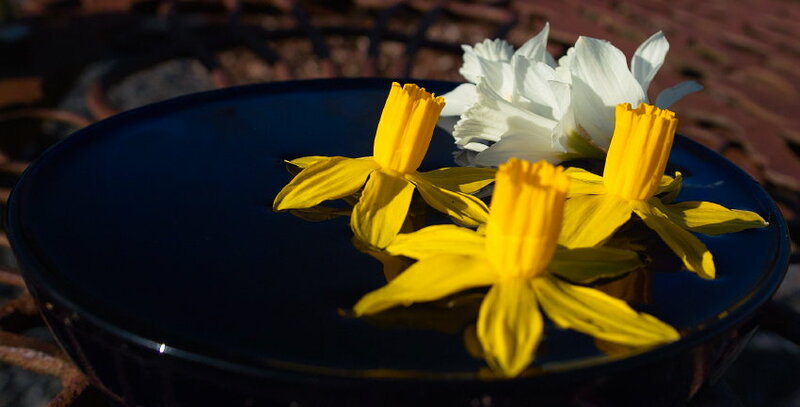 Note: After the extremely mild wet, gloomy winter of 2016, with a late wintry sting in its March tail, most of our early daffodils have begun flowering 2 to 3 weeks earlier than the dates shown below. Some, like Rijnveld’s Early Sensation were 6 weeks earlier. In addition it looks like being a bumper flowering year for many, after a generally disappointing 2015. Probably a response to the high light levels of spring 2015 and damper cooler 2015 summer. 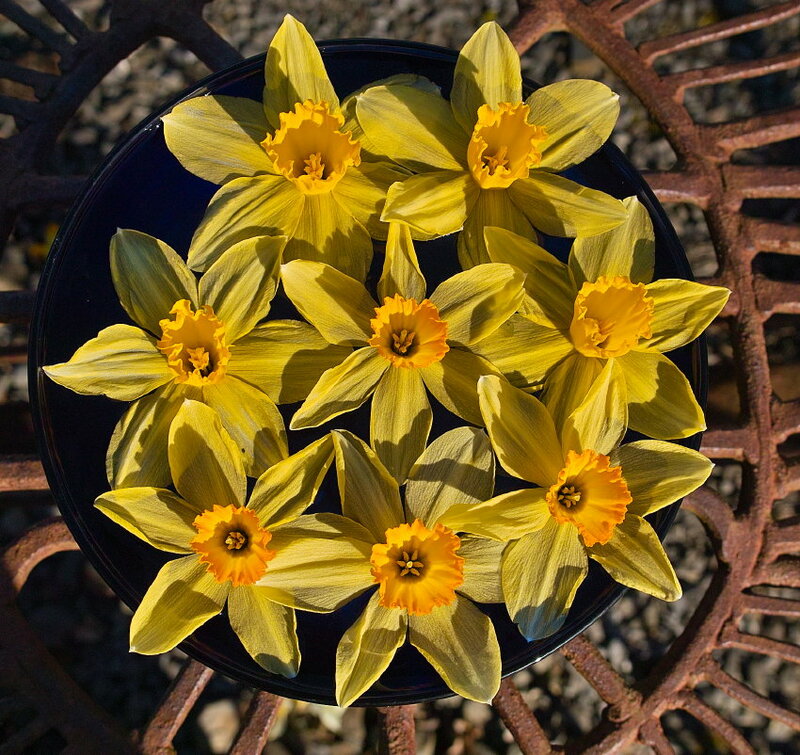 Narcissus ‘Crewena‘ (top – pics below) Div.1 – W-Y – Very early. Tall. Under assessment. 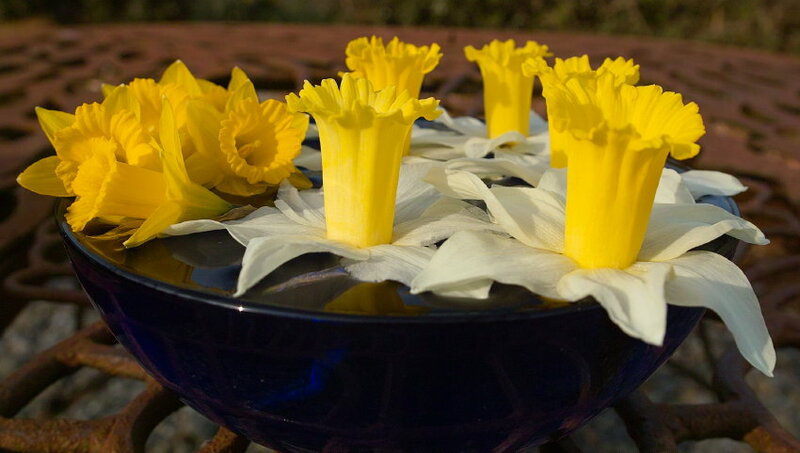 Narcissus ‘Topolino‘ (top – pics below). AGM Div.1 – W-Y, Early. Short, poorer flowering in 2015. (Fourth year). 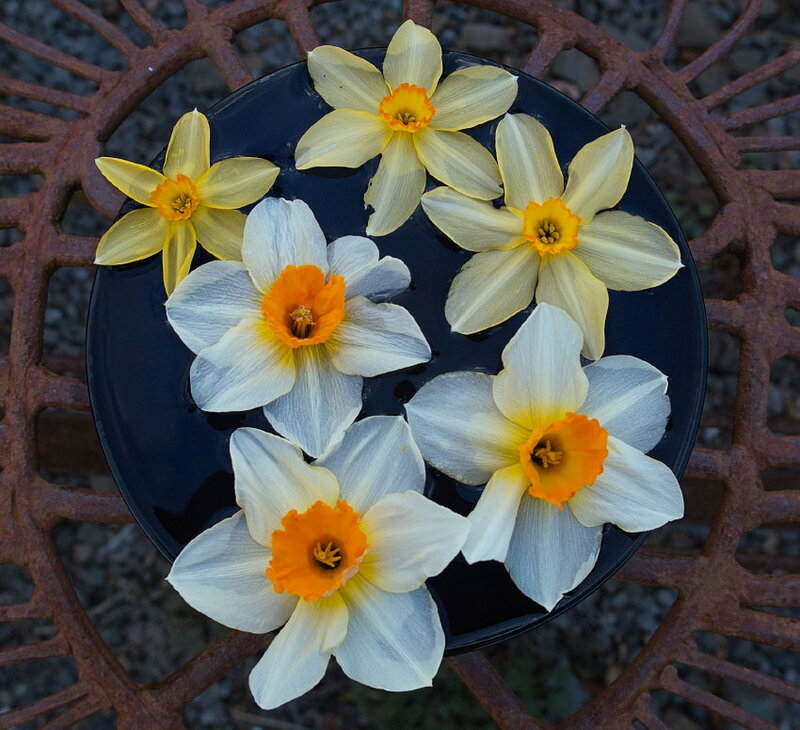 One of the very few prolific seed setters of the daffodils we grow, and has widespread insect appeal. Bumblebees visit regularly. 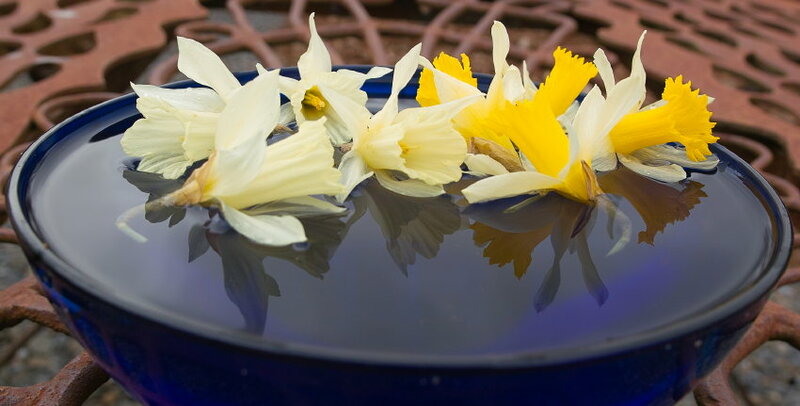 Narcissus ‘Tete a Tete‘. AGM. Div. 12 – Y-Y. Early. Short. 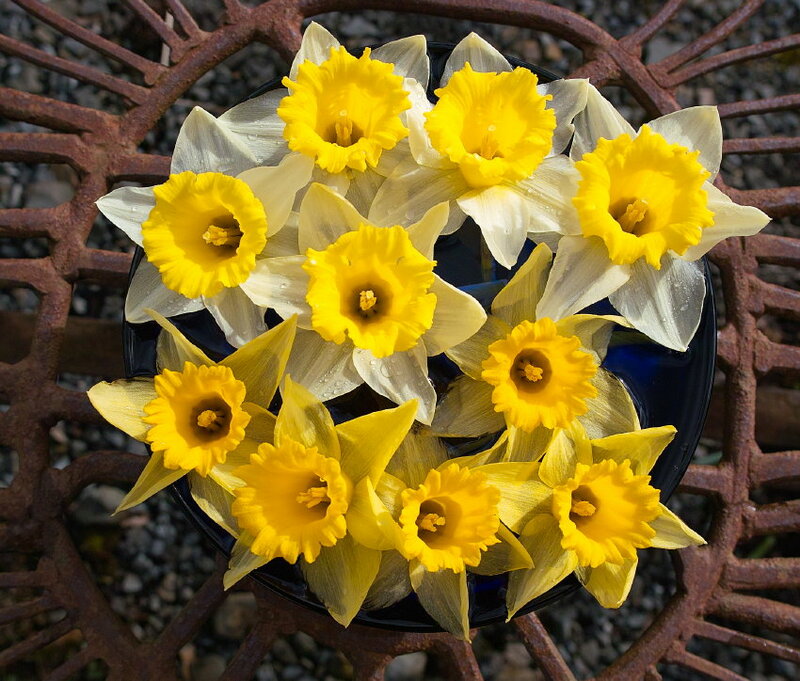 Long term Reliable The most widely grown daffodil in the world. Sterile. 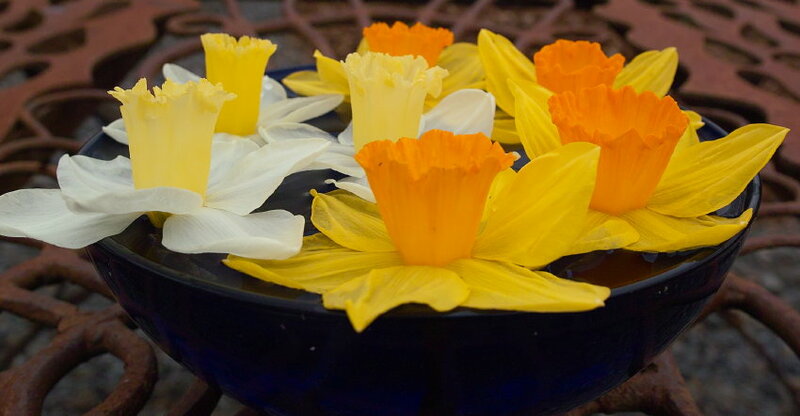 Narcissus ‘Jetfire’ (top – pics below). AGM . Div 6 – Y-O. Early. Short. Prolific and long term reliably floriferous here, growing in very stony poor conditions. Sterile. 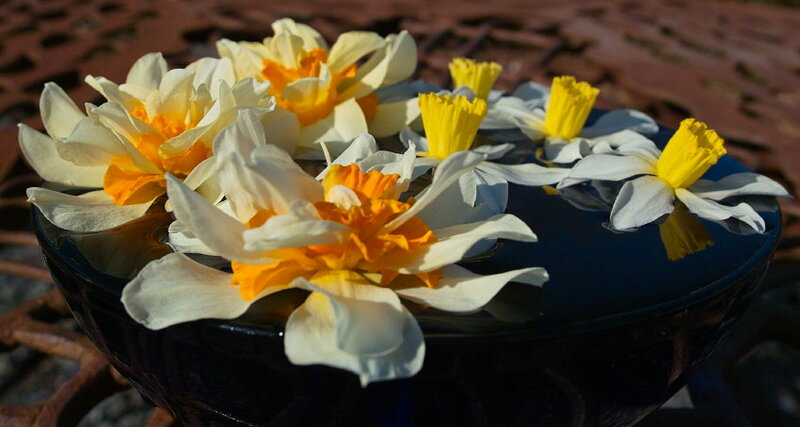 Narcissus ‘February Gold’ AGM. Div 6 – Y-Y. Early. Mid height. Long term reliable flowering here, in porr conditions and borders. Sterile. 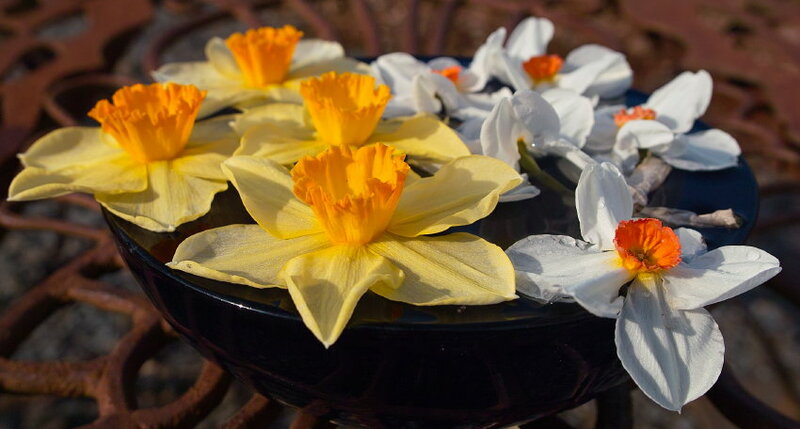 Narcissus ‘Spring Dawn’ (top-pics below). Div.1 – W-Y. Early. Tall Under assessment 2015. 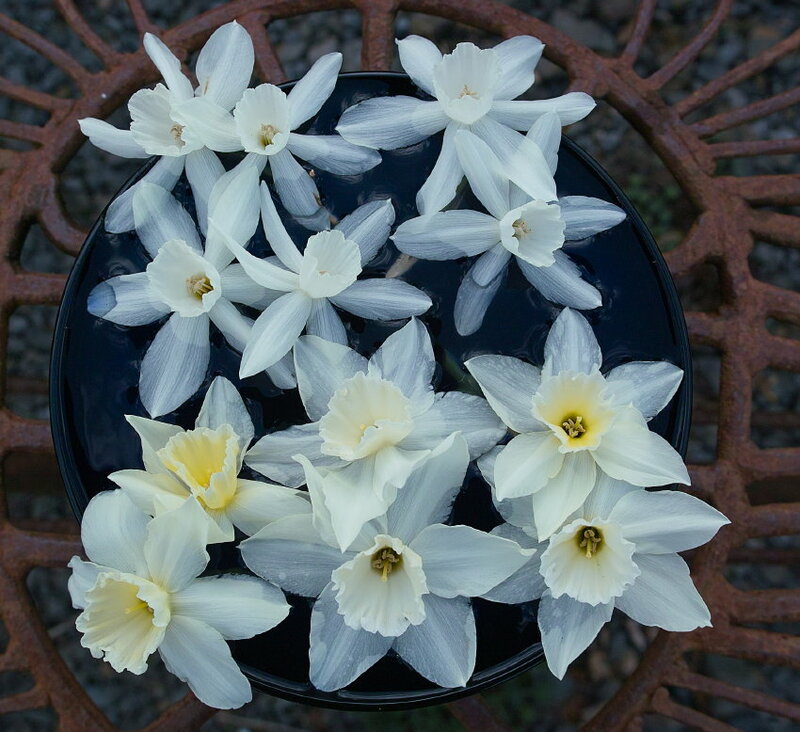 Narcissus ‘Brunswick’ (top, pics below). Div 1 – W-Y. Early. Very tall, vigorous and one of our most reliable cultivars. Longest lasting flowers of any we grow as well. It even sets a few seed, if allowed. 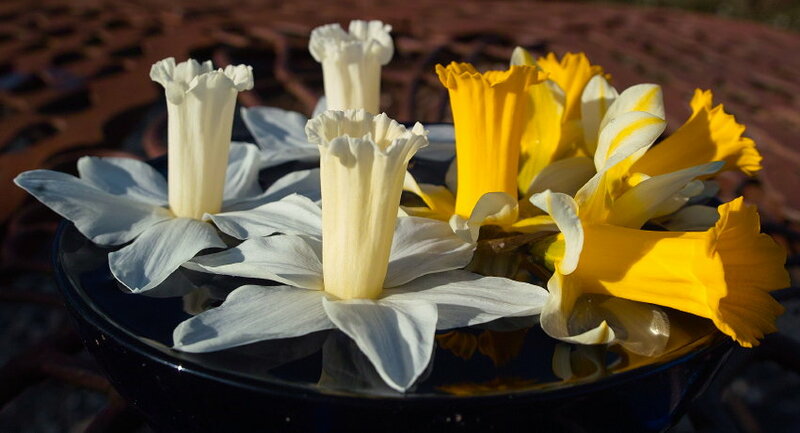 Narcissus ‘Ice Follies’. Div 2 – W-Y. Later into flower than Brunswick, but still quite early for a white perianth flower. Average height. Vigorous, and reliable in many locations with us increasing and flowering reliably. 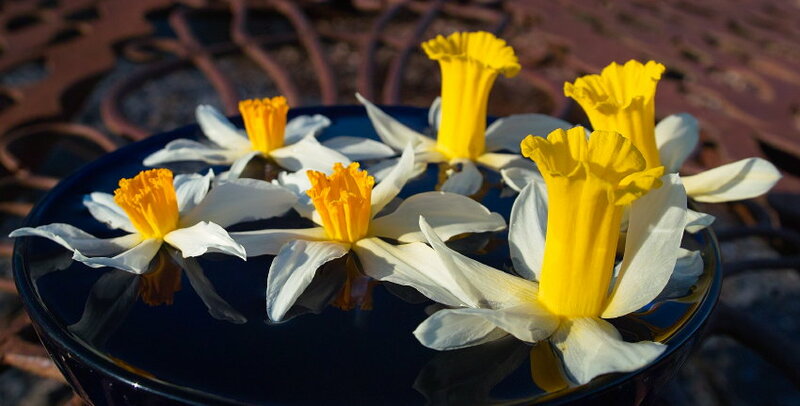 ‘Narcissus pseudonarcissus subsp. 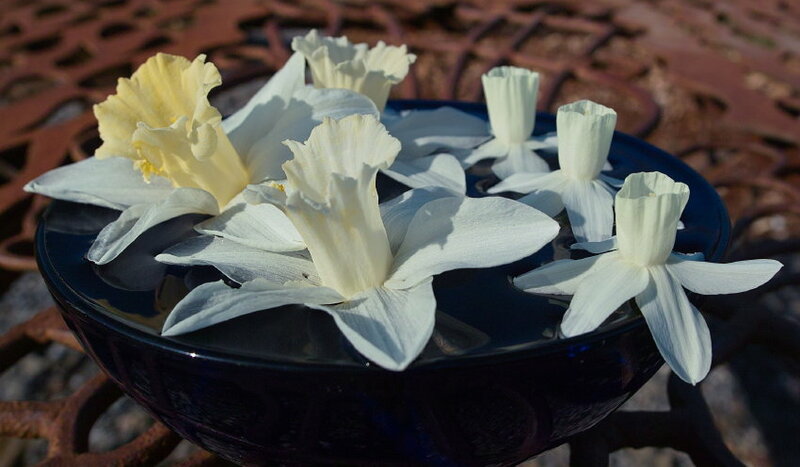 pseudonarcissus’ (top, pics below). Div.13 – W-Y .Short. The early native ‘Lent Lily’. 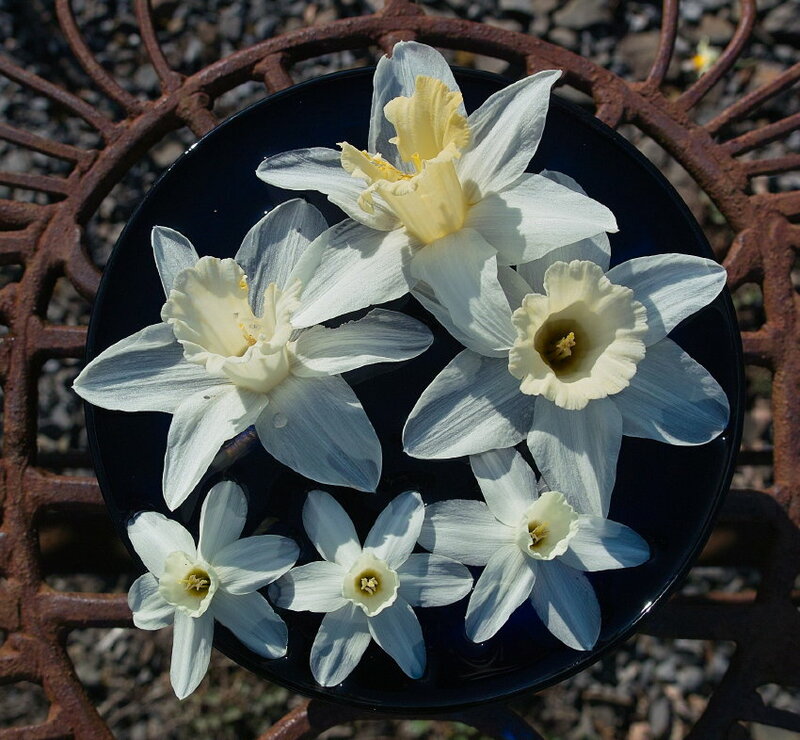 The bulbs are not much bigger than a snowdrop, and the first year after flowering (2014) yielded only 1 flower from 200 bulbs, unlike most daffodils which will flower in the first season. 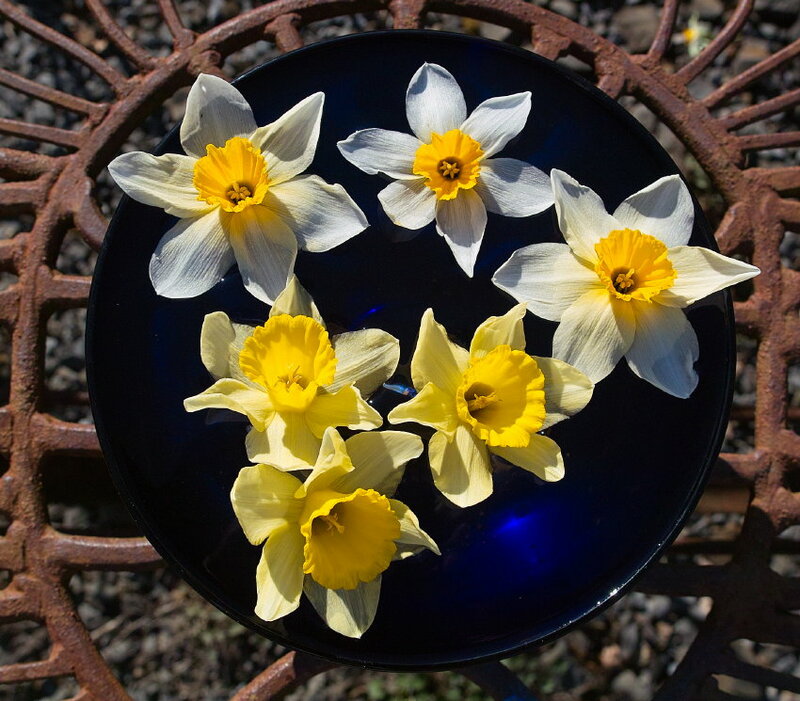 But 2015 saw far more flowers. 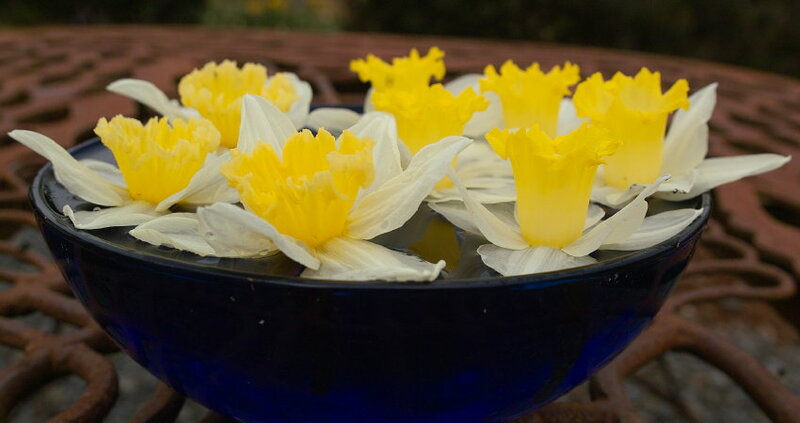 ‘Narcissus pseudonarcissus subsp. moschatus‘ (top,below). Div.13 – W-W. A variant colour form of the Lent Lily, and a little taller, native to the Pyrenees. Equally early flowering. Under assessment. 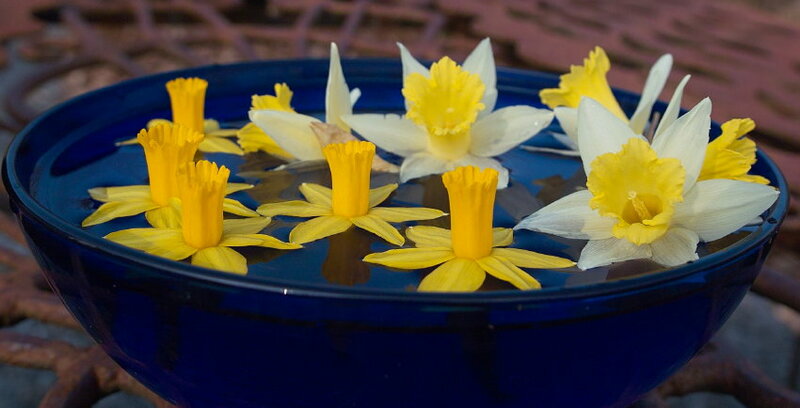 Narcissus ‘Eaton Song’ AGM. (top, pics below). Div 12 – Y-O. Early, short, and often multi headed. Long lasting flowers. Under assessment. 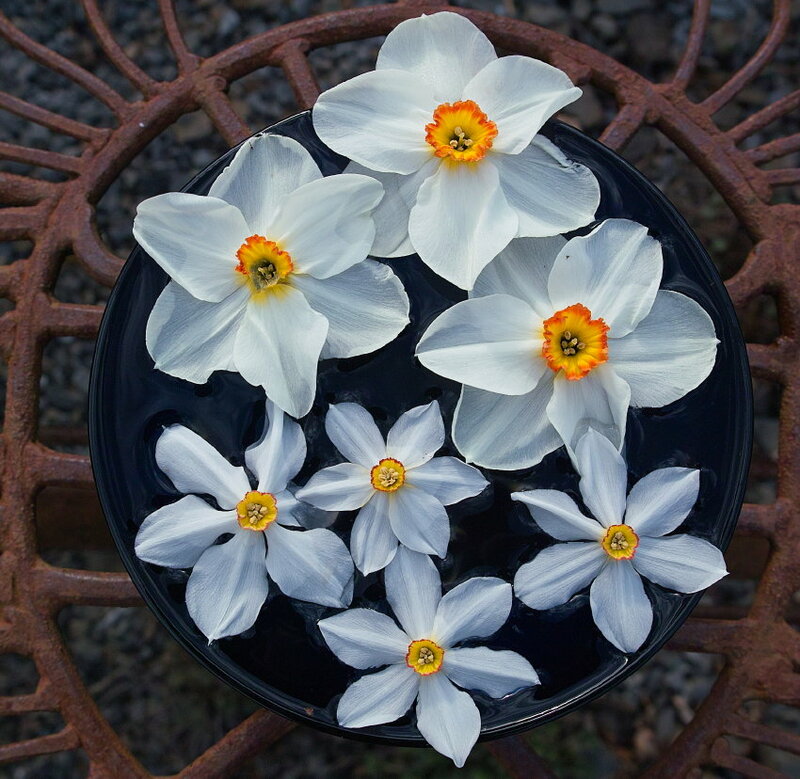 Narcissus ‘Gulliver’ (top, pics below). Div.2 – Y-Y. Tall. Fairly early. A nicely proportioned flower. Under assessment. 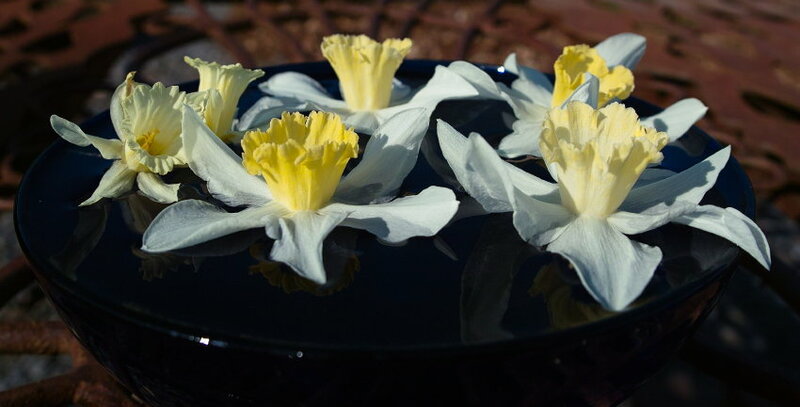 Narcissus ‘Lord Grey’. Div.1 – Y-Y. Tall. Fairly Early. Large, chunky flowers, with twisting of perianth segments. Under assessment. 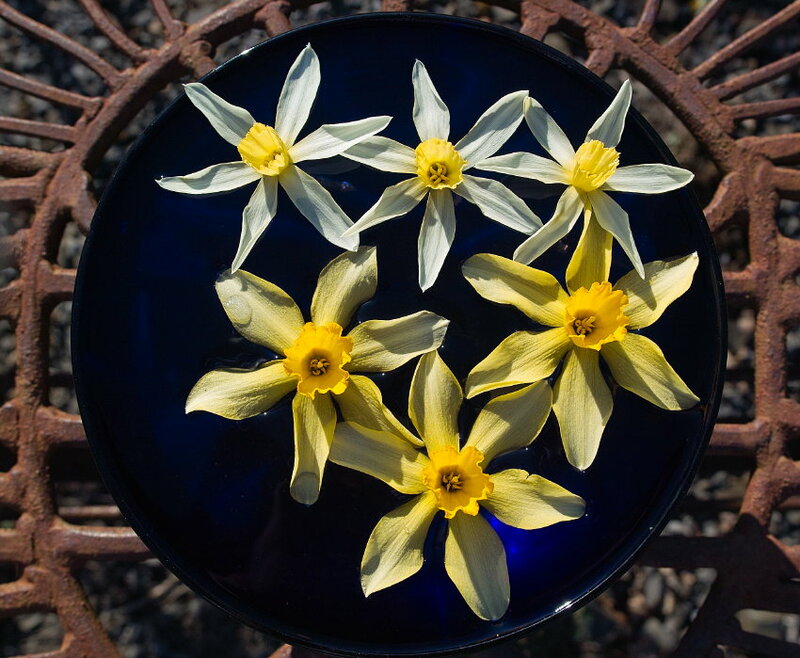 Narcissus ‘Hospodar’ ( top, pics below) Div.2 – Y- O. Mid season. Medium height. Colours fade to white/orange as flowers age. Reliable. 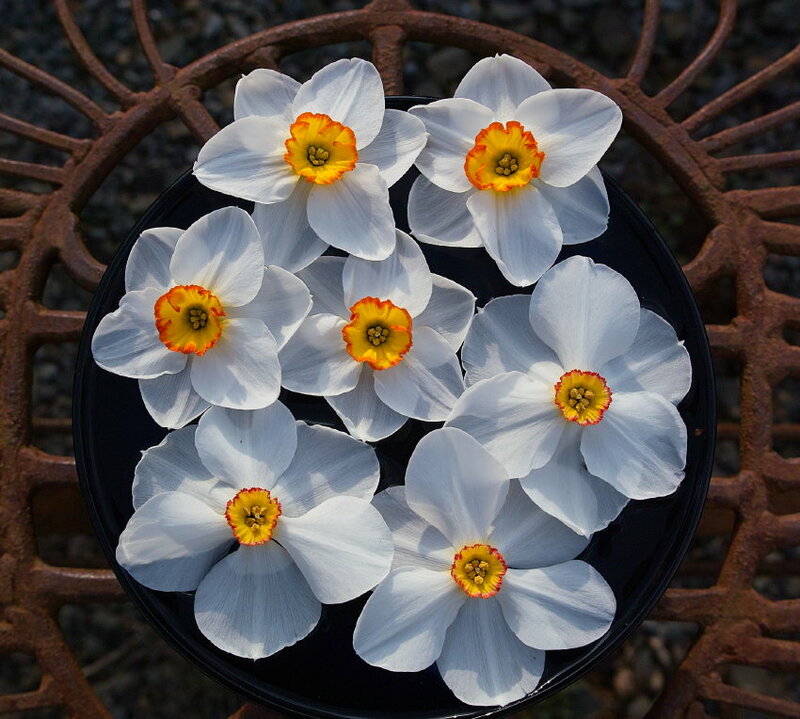 Narcissus ‘White Nile’ Div.2 – W – O. Mid Season. Medium height. Under assessment. 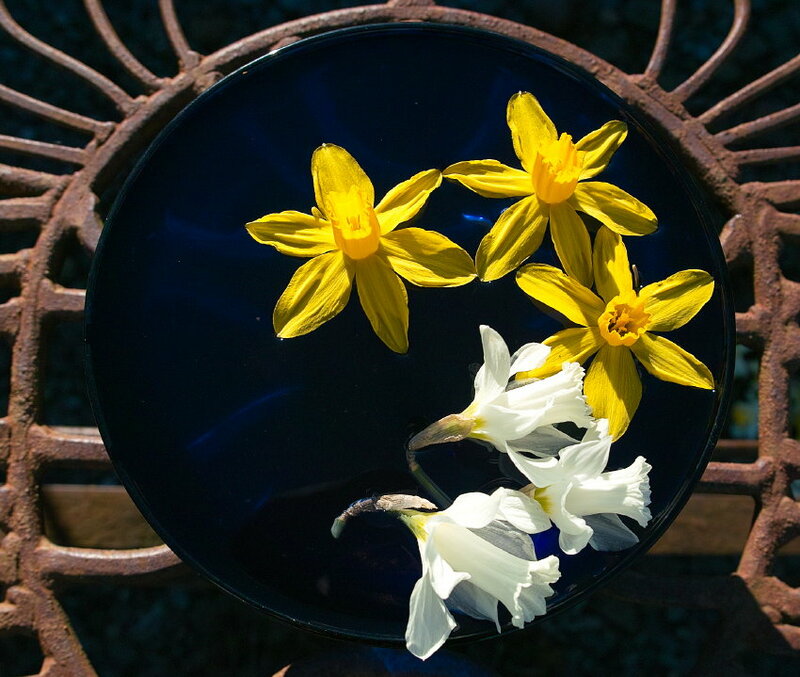 Narcissus ‘Sir Watkin’ (top, pics below). Div 1 – Y-Y. Early/Mid. Medium height. Under assessment. 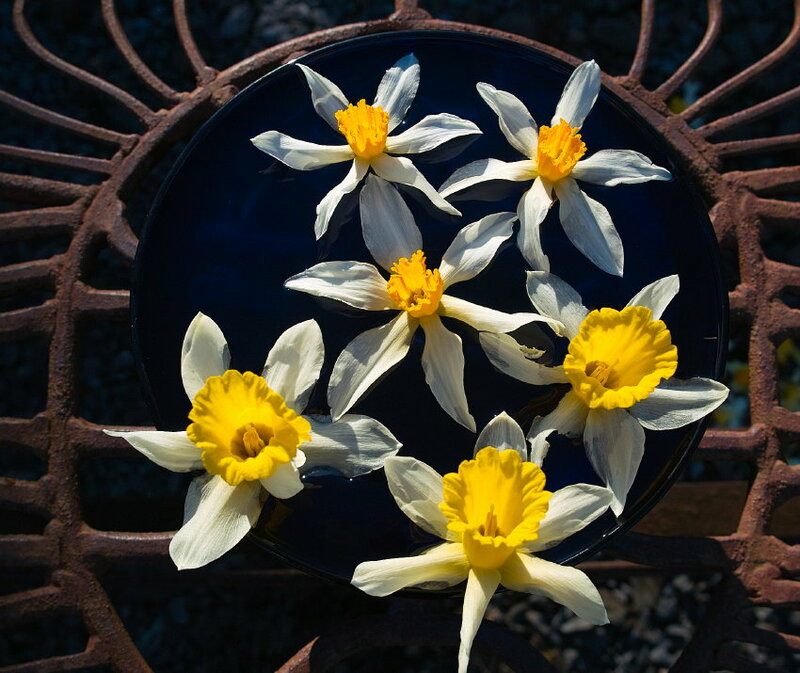 Narcissus ‘ Brilliancy’ . Div 2 – Y-O. Early/Mid. Medium height. Under assessment. 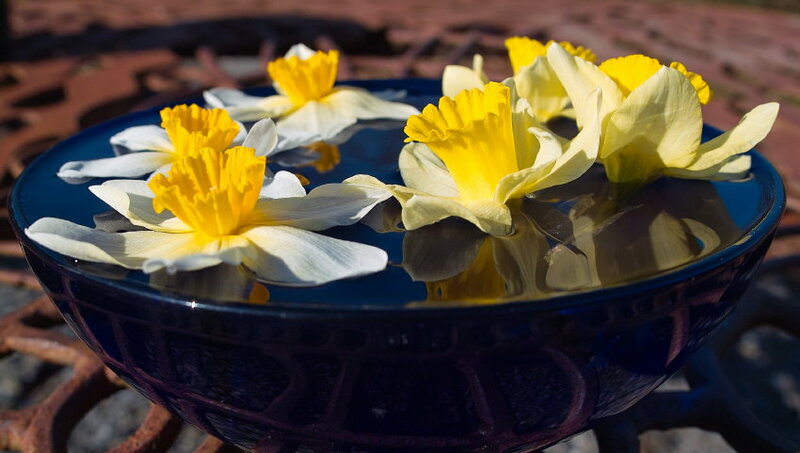 Narcissus Unknown ! (top, pics below). Div.2 – W – Y/O. Medium height. Early/Mid. Reliable flowerer. 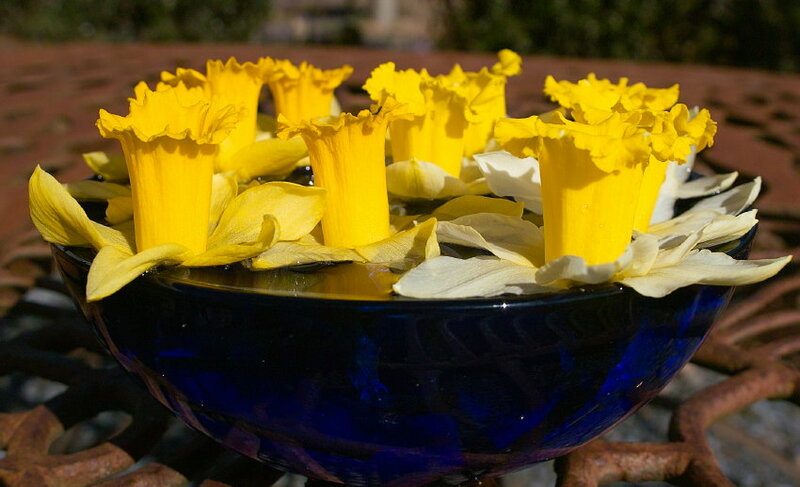 Scented flowers. 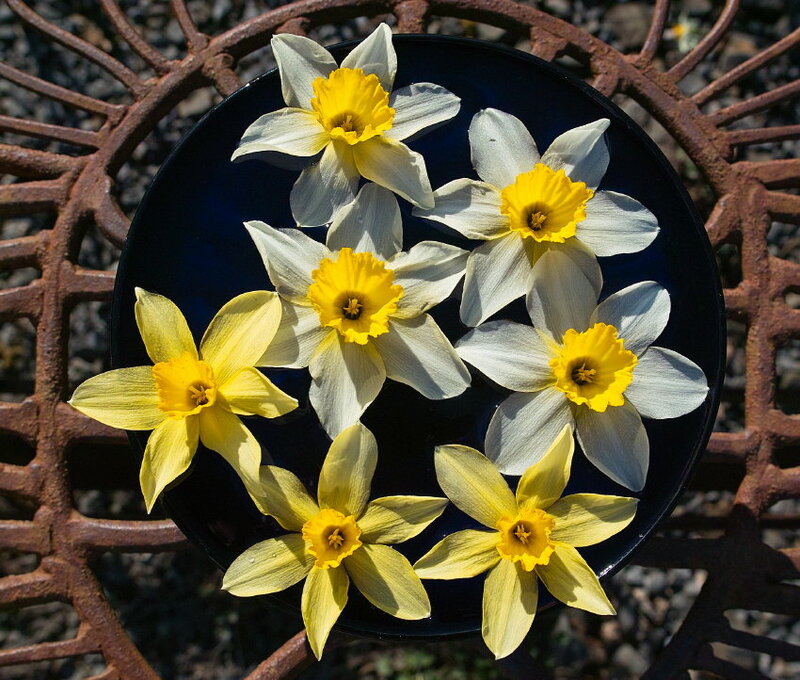 Narcissus ‘Maggie Maybe’ Div.2 – W-Y. Medium Height. Early/Mid. Under assessment. 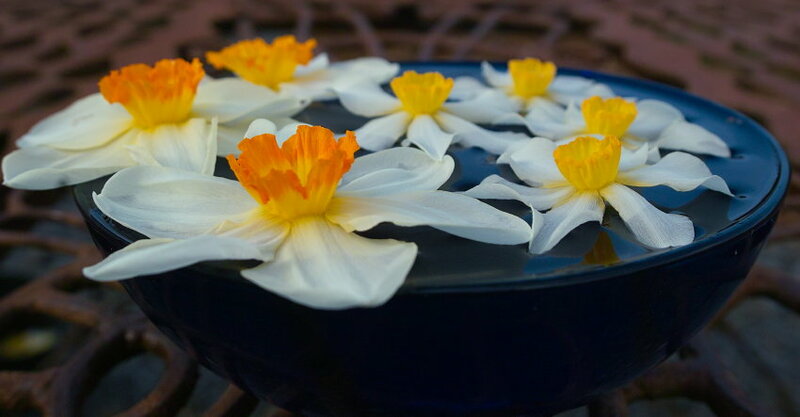 Narcissus ‘Little Witch’ (top, pics below) Div. 6 -Y- Y. Short, reflexed petals. Early/Mid. Under assessment. 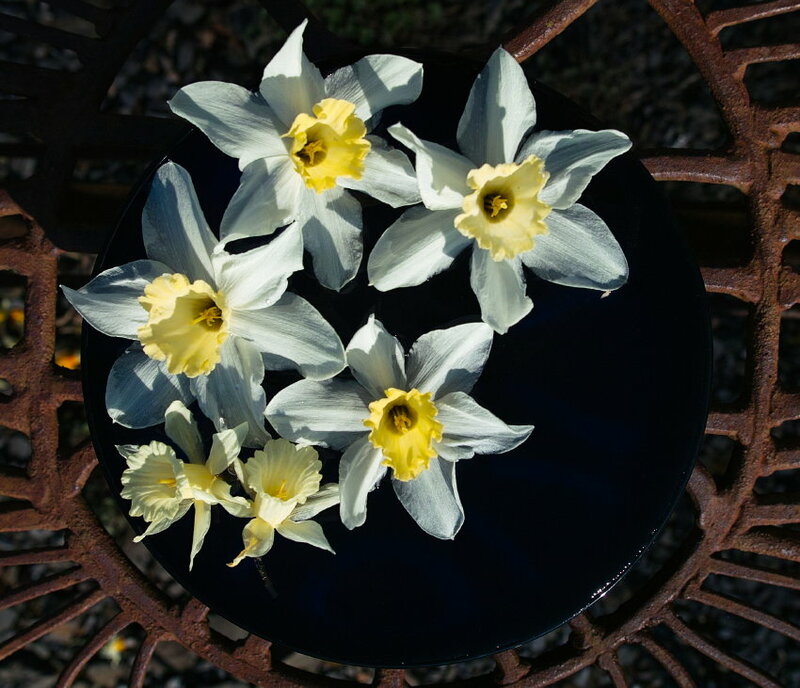 Narcissus ‘Colleen Bawn’ Div. 1 – W – W. Short, drooping flowers. Early/mid. Under assessment. 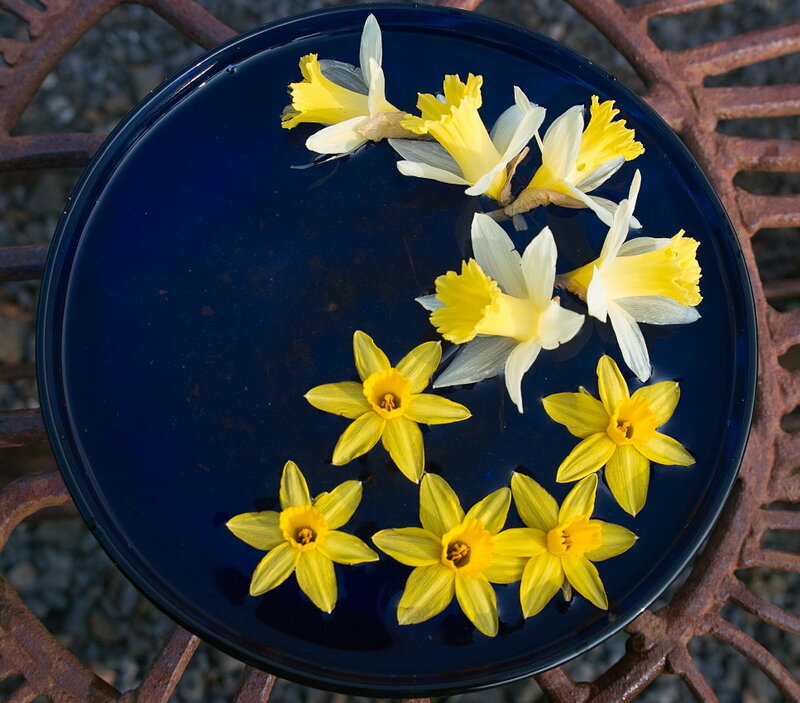 Narcissus ‘Beersheba’ (top, pics below) Div.1-W -Y. Early/Mid. 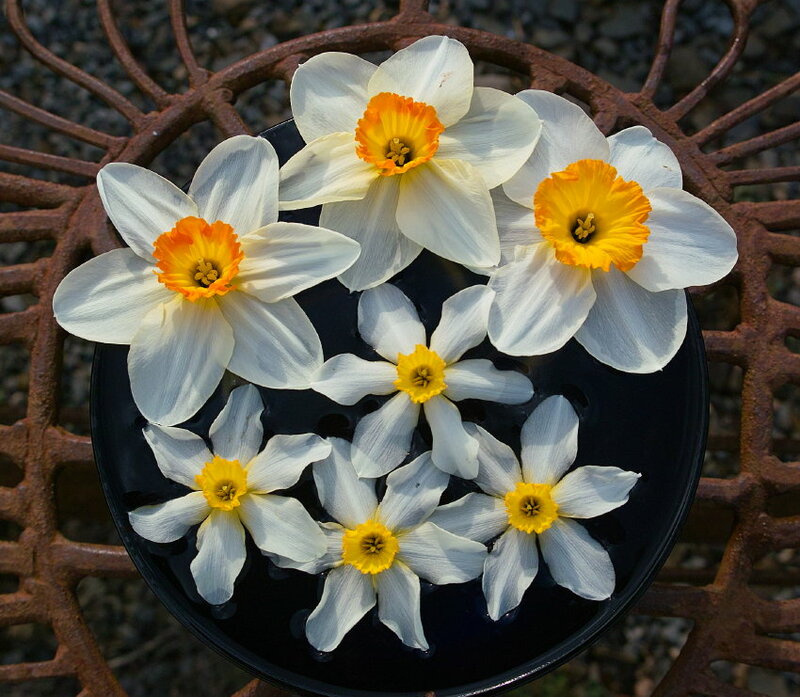 Suffused pale yellow, quickly fading to white. Medium Height. Under assessment. 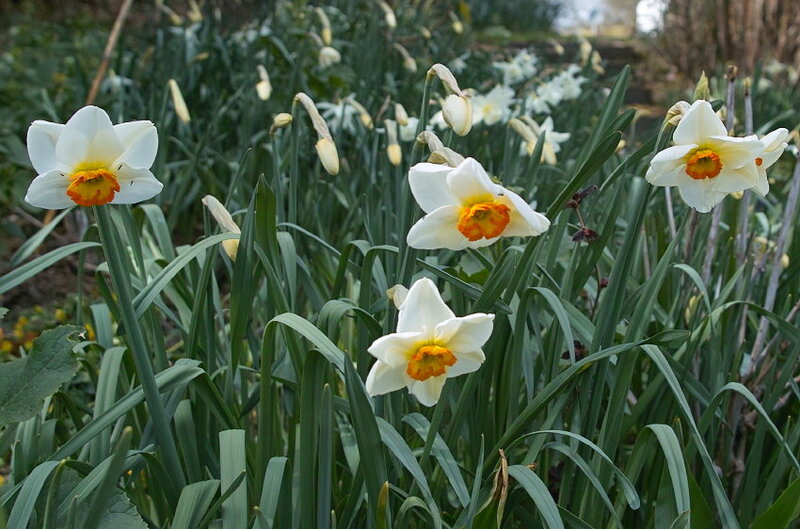 Narcissus ‘Midtown Noble’ Div.1 WY – Y . Early/Mid. Tall. Amazing rich egg yolk yellow trumpet. Long lasting flowers. Under assessment. 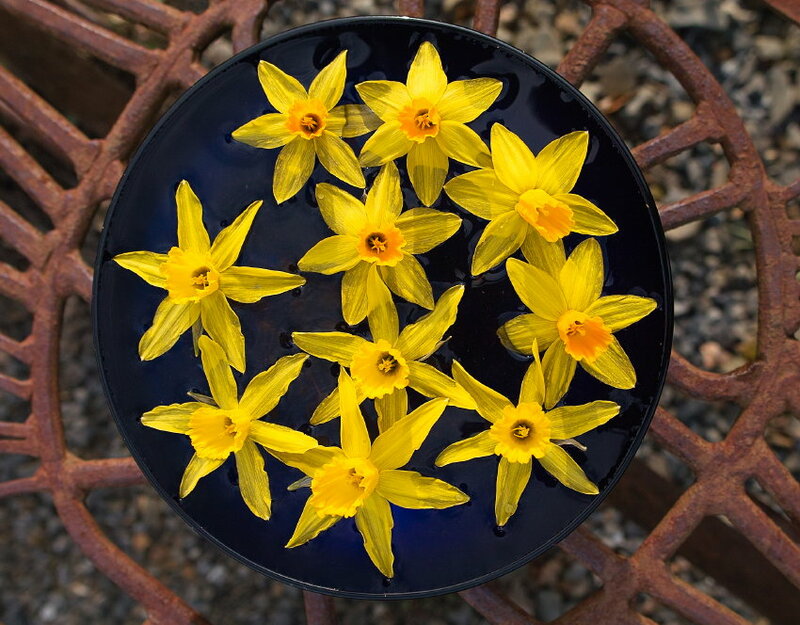 Narcissus ‘Sirius’ (top, pics below) Div 2 – W – YYO. Early/Mid. Medium Height. Under assessment. 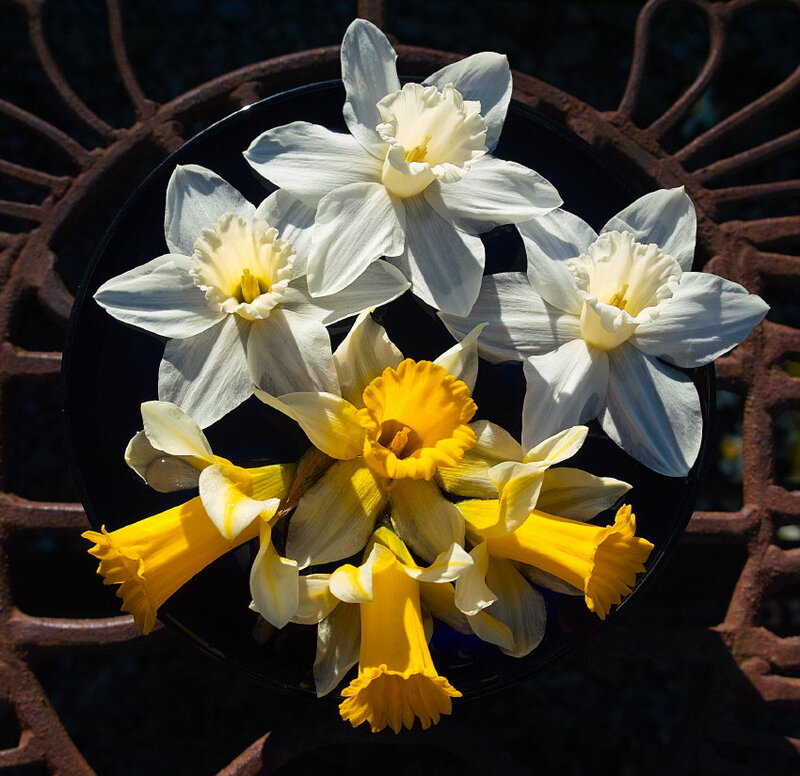 Narcissus ‘Madame Plemp’ Div 1 – W – Y. Early/Mid. Medium Height. Under assessment. 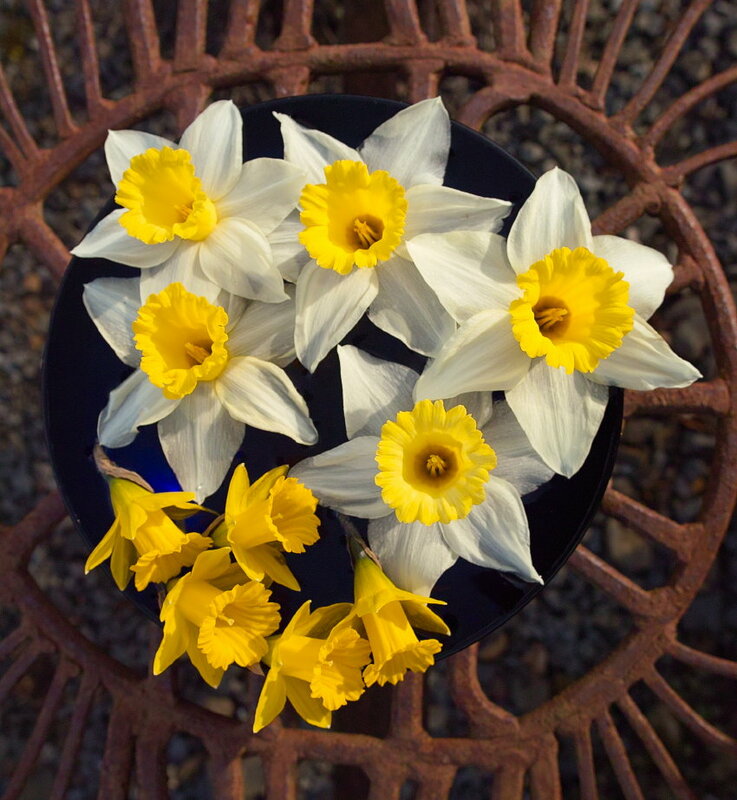 Narcissus ‘Southern Gem’ (top pics below). What a lovely way to display these varieties and cultivars. There are several here that I have not seen before. Very Informative as an identification tool too. Please can you advise as to where it may be possible to purchase small amounts of some of them. Regards, Clive Burton, Devon.England. Thanks for the kind comment. I’ve missed updating this section for this year, since I’ve got some other lovely ones I’m trialling as well. Ah well..too much to do. 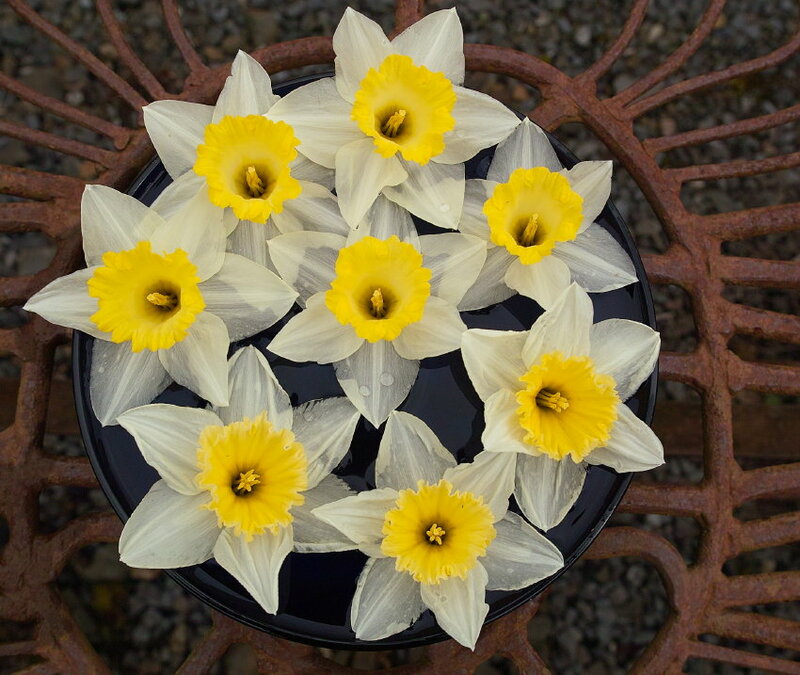 I’ve used 2 sources for these older daffodils…Ron Scamp of Quality daffodils in Cornwall : http://www.qualitydaffodils.com/ who has a huge range and is very helpful. 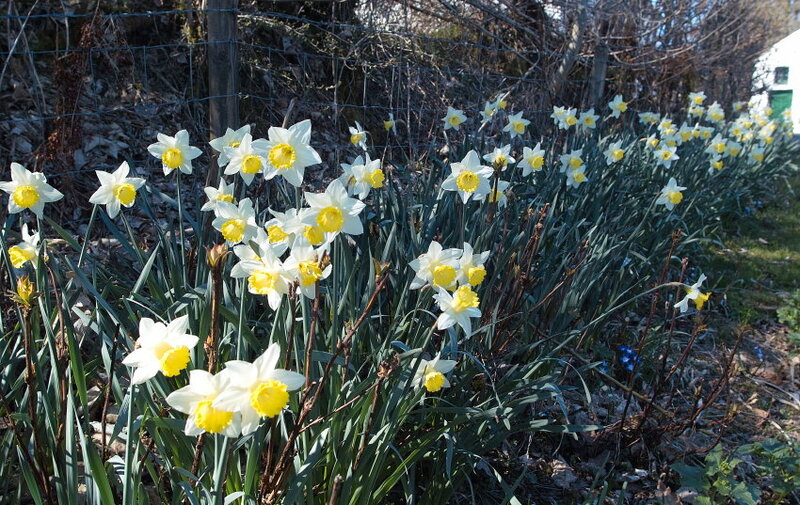 He lists a number of older historical daffs. 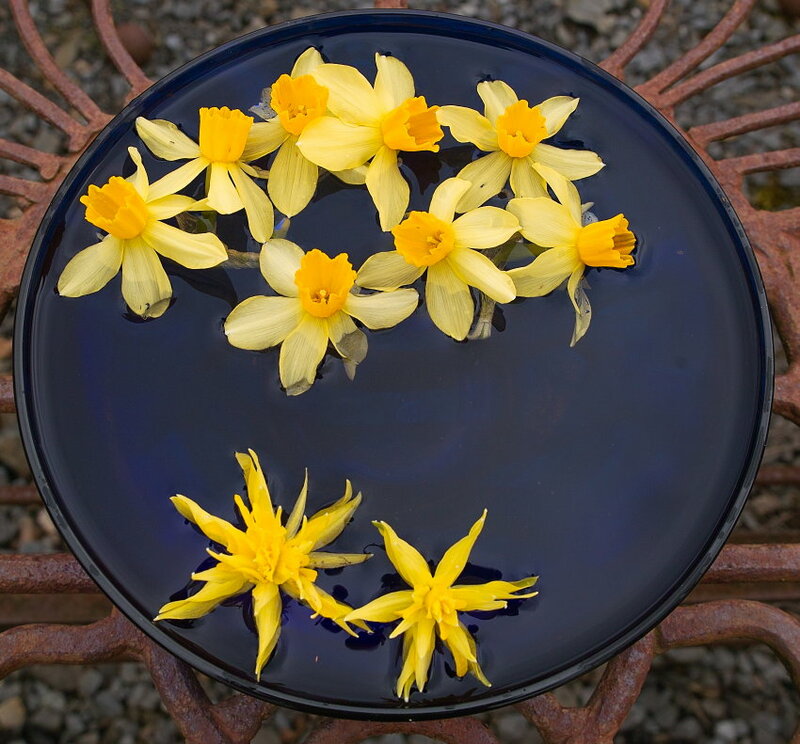 In addition Kate and Donald Duncan of Croft 16 daffodils at the opposite end of the country in Wester Ross..
Again, really helpful with a smaller range of just older daffodils, which because of limited stock of some, changes from year to year. 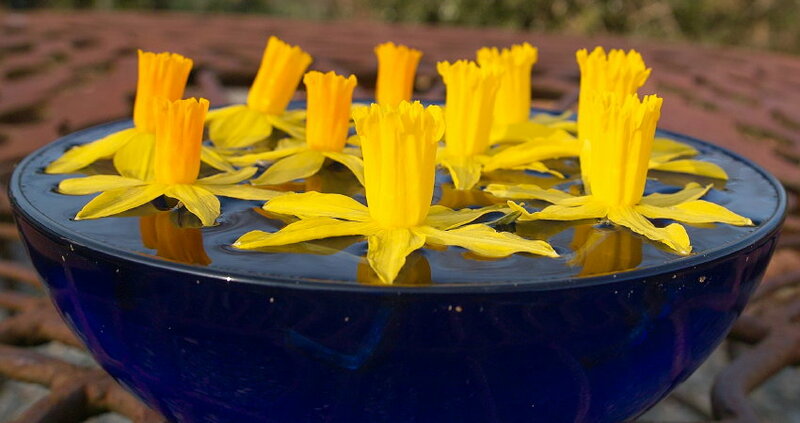 You need to order early from them, all they’ll be out of stock..
I’m trying to bulk up quantities, and move towards displaying them all in a different way – I’m going to do a post about this soon, and increasingly I’m moving daffs in the green, like snowdrops, and might eventually think of selling some this way – although it sets them back a bit, if you’re wanting to create more of an aesthetic effect, which appeals to us, its so much easier to place them amongst others, if you can do so whilst they’re all in flower, and you can judge heights, and where existing clumps are. 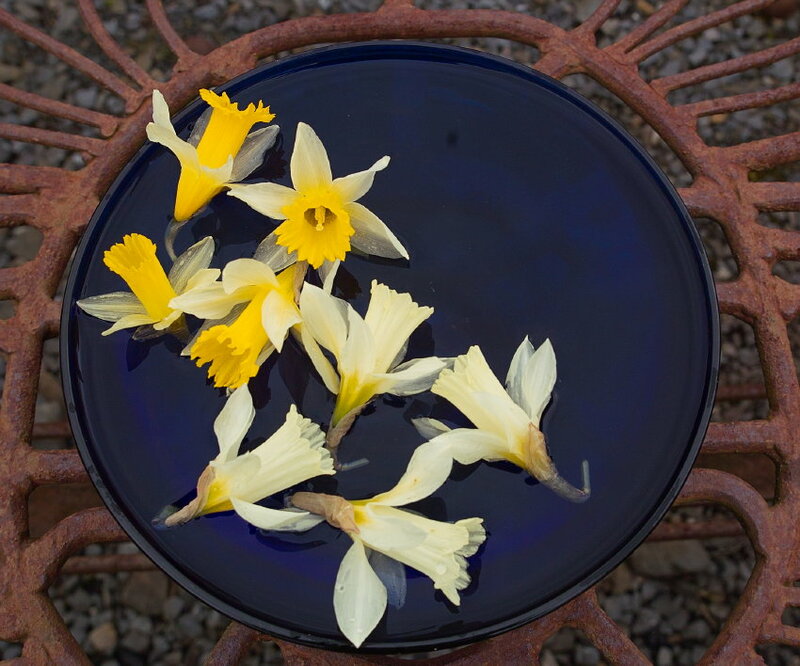 And some of these older daffs have so much more charm than many newer ones. The other issue for us, is that no one tells you how fussy they are… we’ve had loads that diminish from year one, and completely disappear in 2 0r 3 years. Eventually I should have a better idea on how vigorous some of them are… again using AGM varieties is a helpful start, but even this fails for us in a high rainfall climate with some cultivars, very unreliable.